In this article, I will try to help you in this situation. Disclaimer: The fact that I run a UX company myself disqualifies me as an objective source. But I have also seen a lot over the last 15 years, so I will share my experience with you. If I had to hire a UX agency, I’d find the following questions the important ones to tackle. What design process do you use? Do you have dedicated UX researchers? Will the designers work full time on my product? Can I keep the design team on an ongoing basis? I will now explain why I consider these questions crucial to settle before you kick off the user experience project together. 1. 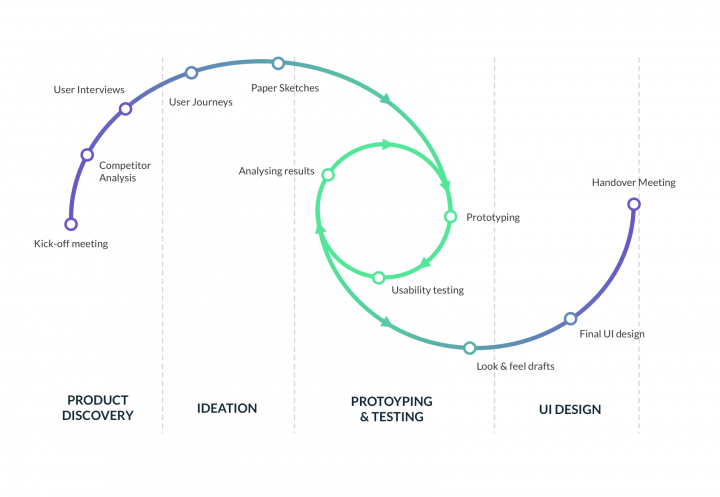 What design process does the UX design company you use? Start with an obvious question about the design process. 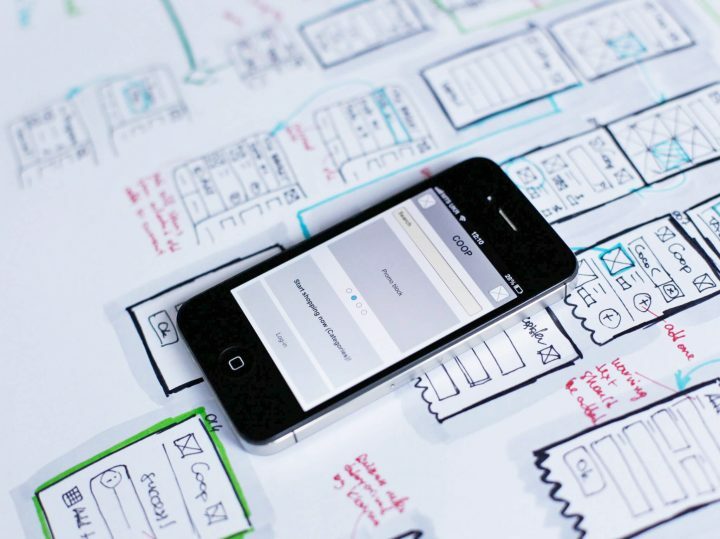 Learning more about the design process will show the UX team’s awareness of what they do. Remember: UX design mainly constitutes a process innovation. Instead of just drawing fancy screens, most design teams have their own way of discovering user needs, prototyping, usability testing and working with developers. New UX design firms usually don’t have a mature design process. This doesn’t mean they can’t tell you how they would approach the problem to solve. But in many cases, they will just list one buzzword one after another. A more mature design team has usually worked for many clients and done the same thing several times. This shows that they know how to do it well and what to take care of. When they talk about their design process, you will feel they know what they are talking about. If you ask about a certain step, they’ll tell you exactly how they do it. However, keep in mind how every product differs from every other. When we work with clients, we almost always customize our process to each particular client. But that doesn’t mean we don’t have a great general UX process in place. To get a glimpse, read the blogpost of our product design process in UX studio in our ebook: UX Design for Product Managers. 2. Do they have dedicated UX researchers? User experience design can generate many more business results than plain old visual or graphic design. That can happen because UX designers really care a lot about your customers. When you come to a UX company, you don’t just want an app or website designed. You want them to figure out what website or app people will love to use. You want them to create something your target group will find easy to use, a product they will fall in love with. So UX folks introduced UX research. We use this collection of quantitative and qualitative research methods to figure out what people need and to test our products’ usability. These research methods work like magic. When you collaborate with a great UX team, they will bring you new customer insights every week. You will learn surprising amounts of things about your customers from them. The only issue with UX research: It takes time. Some designers say they do research or usability testing as well. In reality, they rarely have the time. At UX studio, we employ dedicated full-time UX researchers, which has many advantages. When we start a project, researchers can do interview sessions with people from the target group to gain a deep understanding of their needs. As designers are working on the screens or flows, they can pass their fresh efforts to a researcher working on the product. 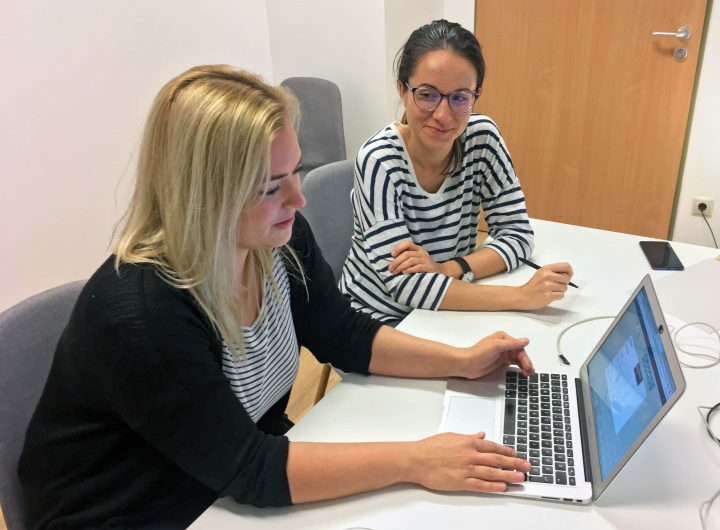 Meanwhile, the researcher can quickly run usability tests to make sure people understand everything and can use the product smoothly. A dedicated UX researcher attending to your product can really make a difference. For this reason, I definitely ask about it when I’m talking with a UX firm. As a good follow-up question, ask if you can join the user tests and interviews. 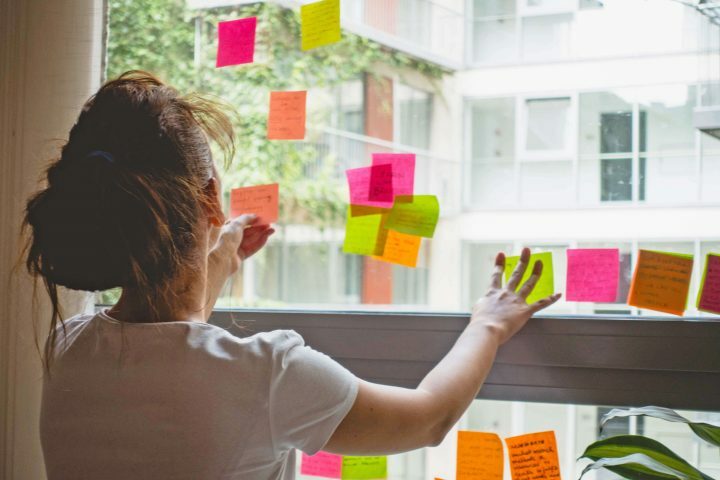 The best researchers love when different business and product leaders attend their research sessions, as it makes much easier to communicate the most important findings. Those who do real research will appreciate your presence. 3. Will the UX designers work full time on my product? The process of designing an app or a website gets more complex and goes longer than for a logo, poster or business card. This requires a designer who focuses solely on your product or service for a longer period of time. In some agencies, designers work on several apps or websites simultaneously. I have never seen good results from these teams. Agencies that originally worked in advertising or marketing agencies and then later turned to UX commonly do this. When a designer works on many projects at once, you will never know their priorities. Even super time management skills in the designer don’t guarantee good results. Much of the design work doesn’t happen as you’re sitting next to your computer. I usually think a lot about different design solutions while commuting or in the shower. When a designer works only on your product, you will know they will be thinking about your product all the time. 4. Can I keep the design team on an ongoing basis? Understand the difference between design and projects. However much you want to, you can’t plan for everything. While you are building your product, new problems and new opportunities will arise. Your product will change a lot during the design process, and these changes will require changes in your original plan. Prepare for it. In reality, we never finish a design. As long as the product lives, you will need regular design activities. Even if you hire a design team for a fixed project, you will likely need to extend the project or start a new one later. So when you talk with potential UX partners, ask if they can provide you the same design team on an ongoing basis. In this case, they can base the pricing on time. At UX studio, you can hire a design team from us and pay a fixed price each month. You can keep the team as long as you want, and you can even scale it up if needed. 5. How can I support the UX company experts’ daily work? Understanding the reason behind this last question carries even more importance than the question itself. UX design represents teamwork. When you hire a UX company, you hire them for full service. You can trust them to design great digital interfaces and to run the design process, but you can never leave them completely alone. They need your input. Only you know the most about your business, so you will have to stay involved through the whole process. When you ask them how can you support the UX team, you also establish a great relationship. It emphasizes how deeply you have invested in the success of the project. It shows your readiness to do your part, whatever it takes. 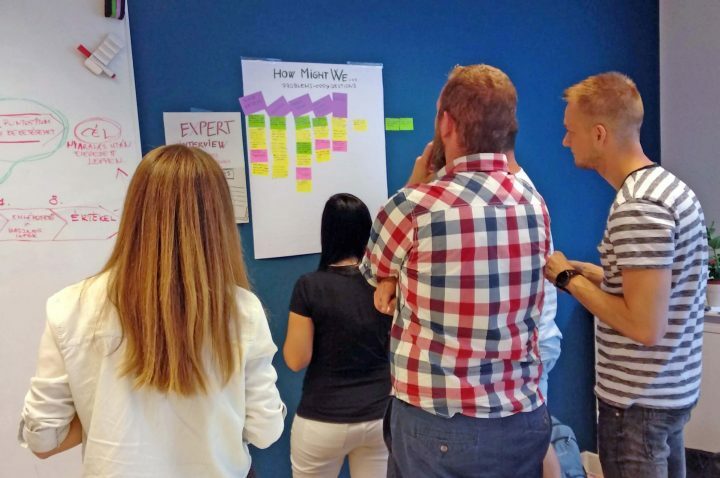 A UX team will usually ask you to participate in workshops. There you work together with their team, providing all the domain knowledge necessary for success. Even when the designers have vast experience in your industry, they will still need your input. You will also have to take part in meetings to provide feedback to some parts of the design. Designers will also have many questions while they work, so prepare for some email or Slack discussions as well. Great designers will always run and facilitate these discussions. They will also try to involve you and get other leaders in your company to attend. Whether you are in San Francisco, London, Berlin, or Singapore, the best agencies (wherever they are based) make sure to take the time to meet you in person. So, I would definitely ask these five most important questions if I had to hire a UX company. Of course you can ask many other things as well during your first meeting. If you haven’t worked with an experience design agency before, dive deep to understand the process in advance. That way, you can prepare yourself and your stakeholders by the time the project kicks off. Many people like to ask about the design software and file formats they use. Most teams use multiple design tools, and can show flexibility in this question. Clients also often ask about the deliverables. What exactly will they get at the end of the project? Source files, documentation, UI kit? Or a whole design system? They’ll ask these good practical questions, but keep in mind that the contract delivers much more than files. The client came for the user experience people will love. But design and development go hand-in-hand. That makes many people want to talk early on about how the handover to developers will proceed. They will do the meticulous labor of implementation after all: coding your mobile application or website. 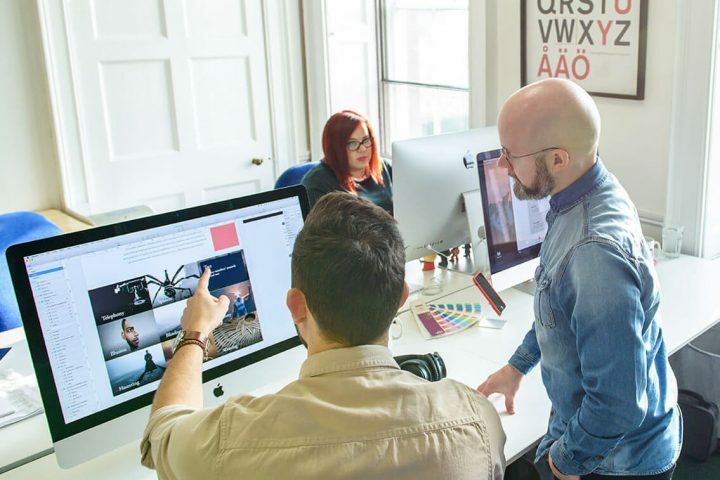 Many UX-focused companies don’t involve themselves with software development — they look at the design, and you can later hire coders or a web development company to execute the job. Planning your development strategy in advance brings benefits not only from a project management perspective but with regard to the design handover process as well. If you want a real leader of the UX world for a design team, also ask about their teaching and design leadership activities. The best design teams not only do design but teach it as well. Here at UX studio, we published a Product Design book, we publish our learnings weekly on our UX blog, and we also organize a digital product design course every six months. Finally, you will want to discuss pricing structure and deadlines or “timing” during the first meeting. Usually it takes a few days for a design team to put together a detailed proposal, but you can hear about the basics in the first meeting. So. Ready to ask these questions and maybe even more? If you now feel ready to start the conversation, it would make our day to hear more about your project. If you consider our great team at UX studio one of the possible companies to work with, you need do nothing more than fill in our contact form with a short message. We will get back to you quickly to set up a call and start the discussion. Of course, that comes with no strings attached and no obligation. So when you feel ready, just get in touch with us!